Power Mac i5 is an old Power Mac G3 Blue and White, partially gutted and converted to a modern PC. It retains as much as the original look as possible while being a practical PC. It is very modular and standards-compliant, so swapping parts is easy. The PC itself is brand new and quite fast and powerful (full specs are below). 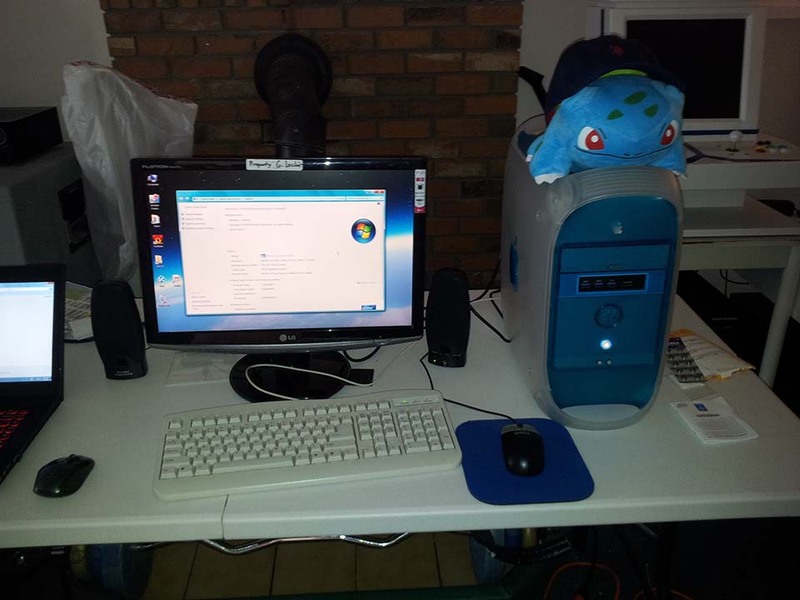 At some point, we decided to make this my dad’s new PC, so it’s outfitted accordingly. I never thought I’d get a G3 Blue and White, but I got lucky and scored one (and a half-complete one) on Craigslist in mid-2014. Compared to webPC, this build was much more straightforward and made use of more prefabricated parts. It was a much easier build, though not without its challenges. Most of the work was done after I finished school for the year, and the project was completed at the end of June 2015. The end result is a practical, yet cool looking computer. Spec-wise, the Power Mac i5 is leaps and bounds above the original G3 that once filled the case.